Circumference - Circumference is the distance around the outside of a circle. Another way of describing it is the perimeter of a circle. 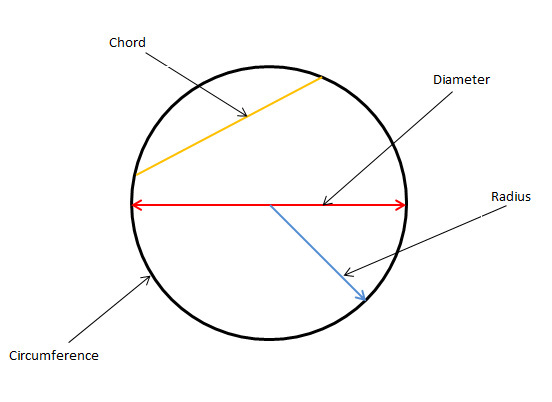 Chord - A chord is a straight line that joins two points on the circumference. these two points can be anywhere on the circumference. Diameter - A diameter is a chord that passes through the centre point of the circle. A diameter is the longest possible chord you can draw in the circle. Radius - A radius is a line joining the centre of the circle to a point on the circumference. You maybe often see it shortened in drawings to the letter 'R'. For example R50 meaning a radius of 50mm. The plural of radius is radii. 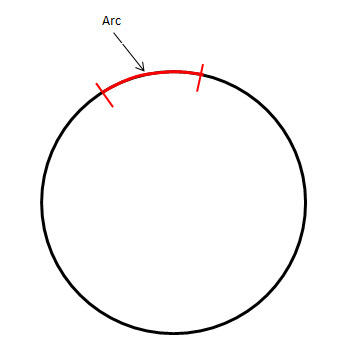 Arc - An arc can be any part of the circumference. Quadrant - A quadrant is a quarter of a full circle. Sector - A sector is the area of a circle enclosed by two radii and an arc. 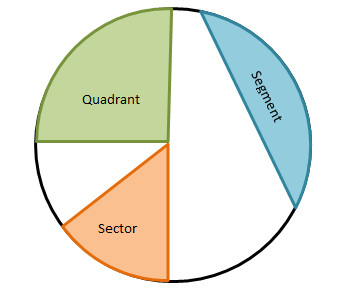 A quadrant is also a form of sector. An easy way to remember what a sector is, that it looks like slices of pizza. 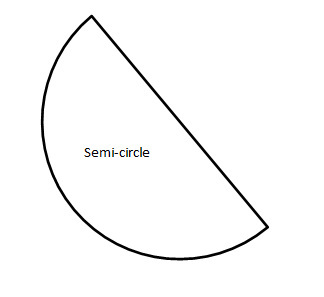 Segment - A segment is the area of the circle enclosed by a chord and an arc. An easy way to remember what a segment is, that it takes the shape of an orange segment. Radius - A semi-circle is exactly half of a circle. A semi-circle has to contain the diameter of that circle.